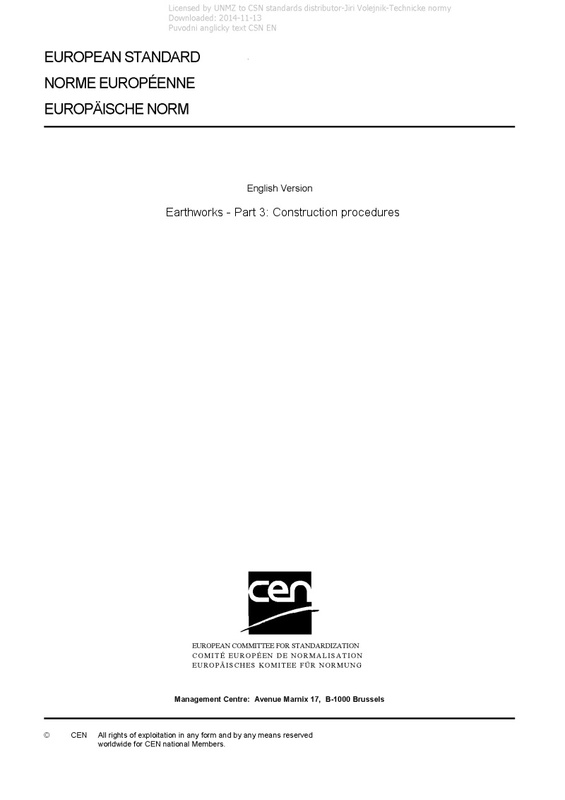 EN 16907-3 Earthworks - Part 3: Construction procedures - This European Standard provides execution procedures for excavating, transporting and placing soils and rocks for the construction of earth-structures and guidance for the work. Additionally, it includes excavation and placement of rock materials underwater. Dredging of soils and the associated hydraulic placement of fills are covered by EN 16907-6 and EN 16907-7. Execution of earthworks follows the conclusions of the earthworks design and optimization phase (EN 16907-1), which should anticipate soil and rock specificities and their suitability. In case some events could not be foreseen, additional design is performed during the execution of works.